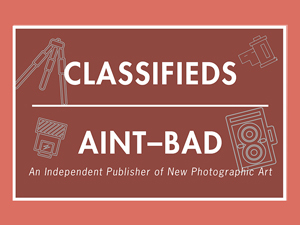 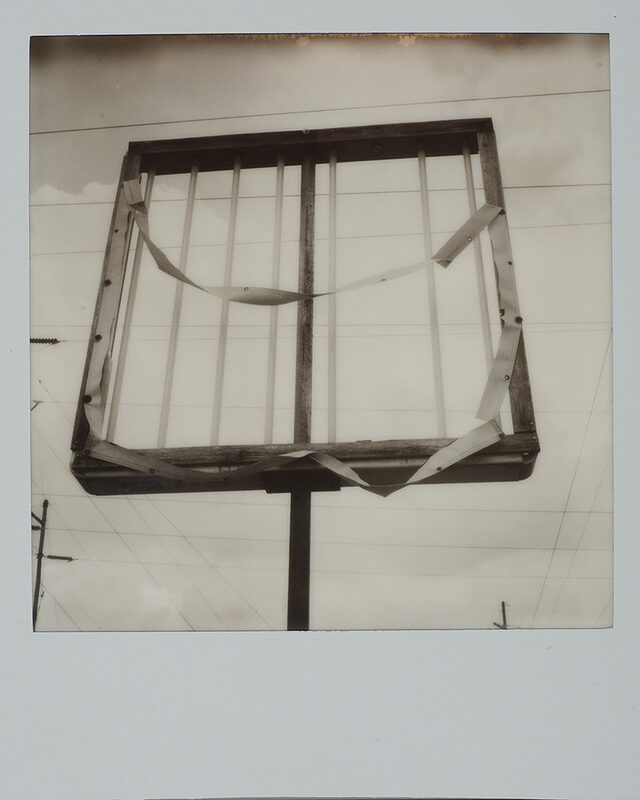 Thom Bennett is a New Orleans-based photographer whose photographs are rooted in the classical tradition of composition, lighting, expression and design. 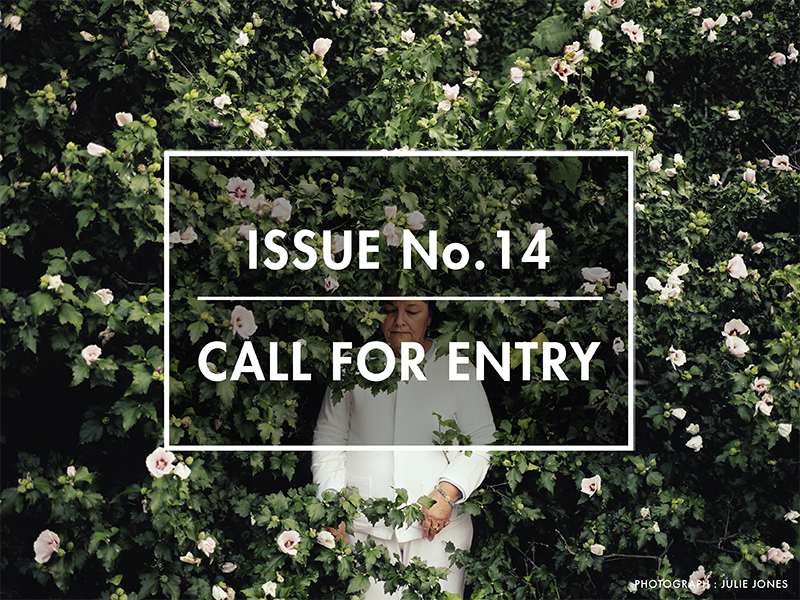 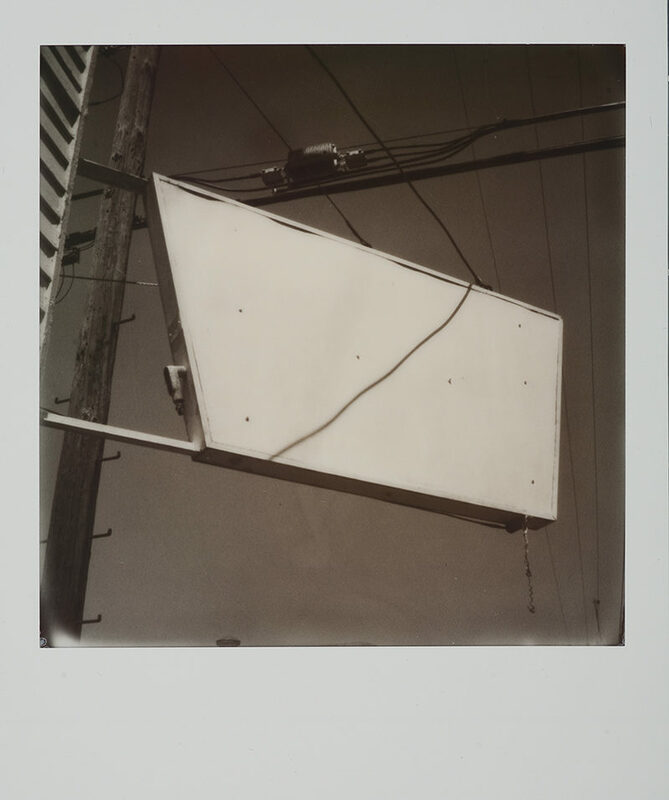 In each photograph he strives to tell a compelling story within the context of two dimensional space. 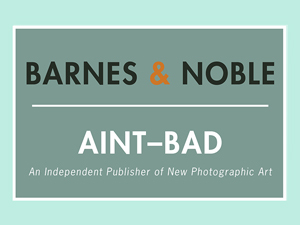 His work has appeared in New Orleans Magazine, BIZ Magazine, New Orleans Homes & Lifestyles, Restaurateur, ByFaith, Homes & Land, Kingfish, City Business, and Oliver Stone’s “JFK”. 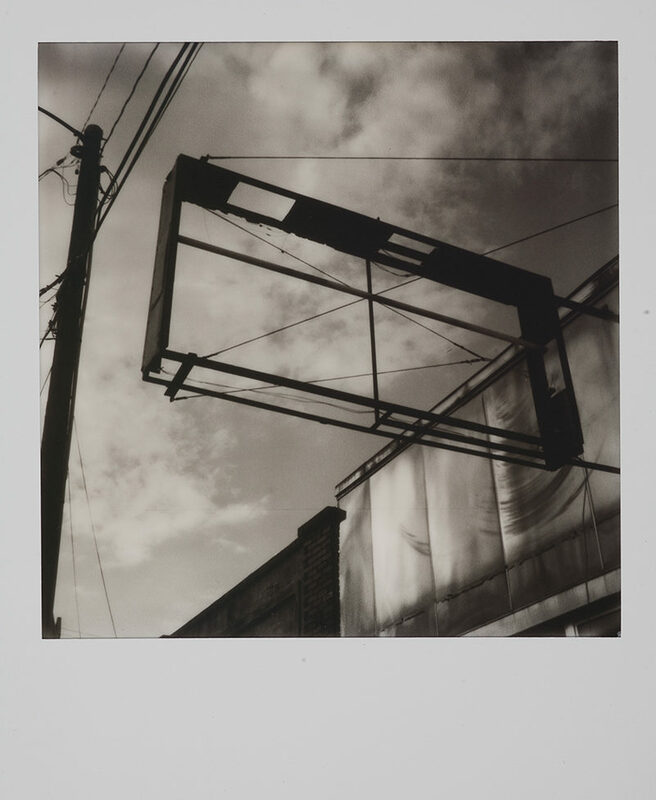 Thom’s Fine Art photographs have been exhibited throughout the Southeast, including the Contemporary Arts Center in New Orleans, WORKPLAY, Birmingham, AL; The University of Arkansas, Conway, AR; Delta State University, Cleveland, MS; The New Orleans Museum of Art, New Orleans, LA., The Darkroom, New Orleans, LA, and The New Orleans Photo Alliance Gallery. 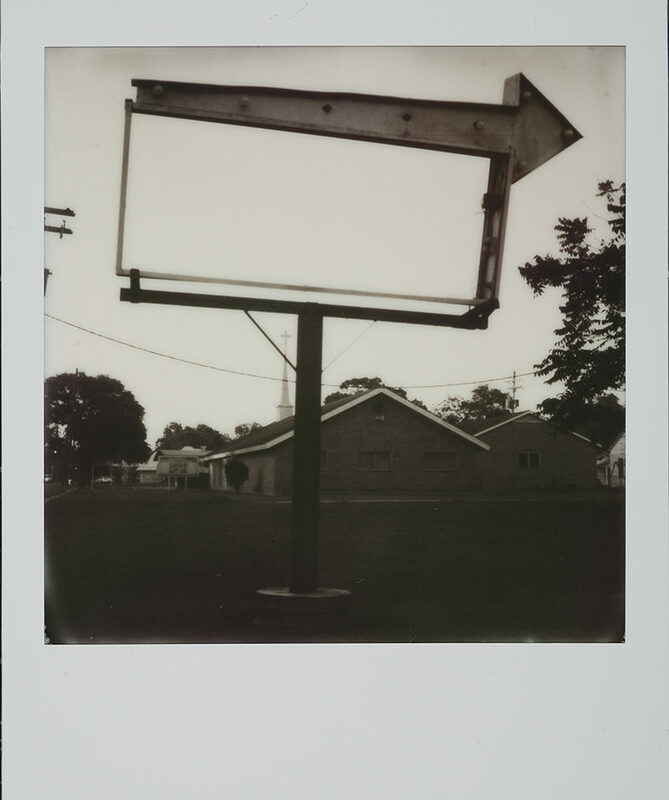 “Signposts in a Strange Land” is a photographic exploration of empty vernacular signage along the backroads of the South. 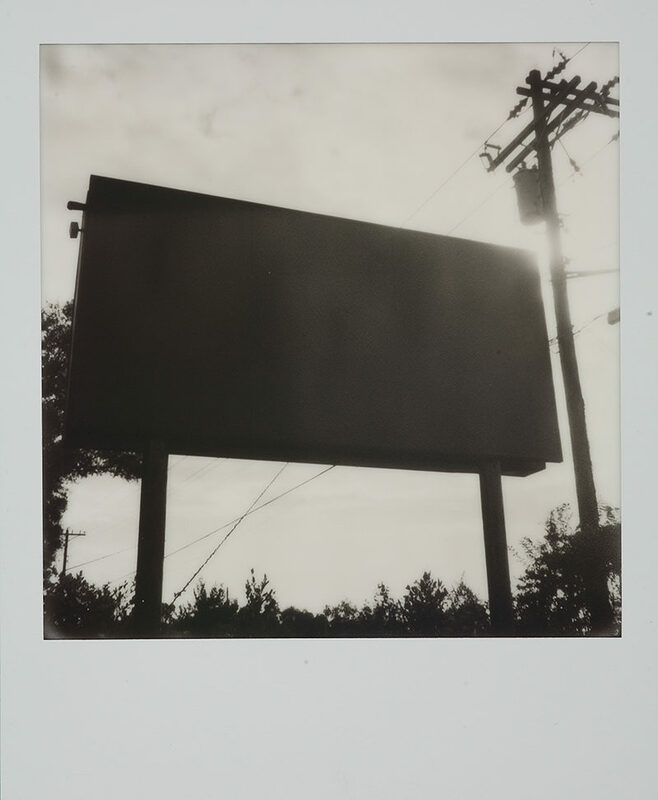 The writer Walker Percy recognized the South as a strange, exotic place, unlike anywhere else in America; a place that clings to the past and stubbornly refuses to accept the present. 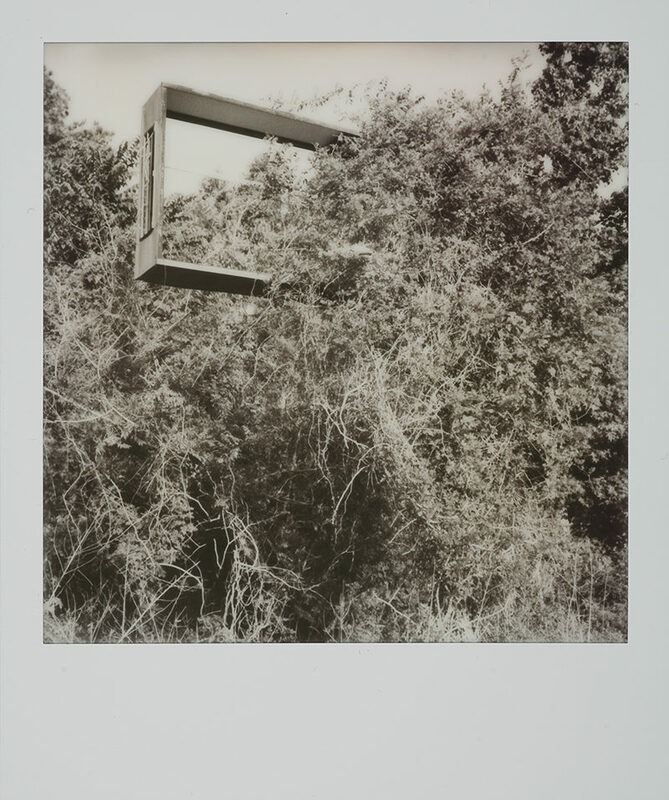 His book of essays, published posthumously, entitled Signposts in a Strange Land, is a jumping off point for this series, which explores the themes of the past, alienation, language (or, rather, the lack thereof), and loss. 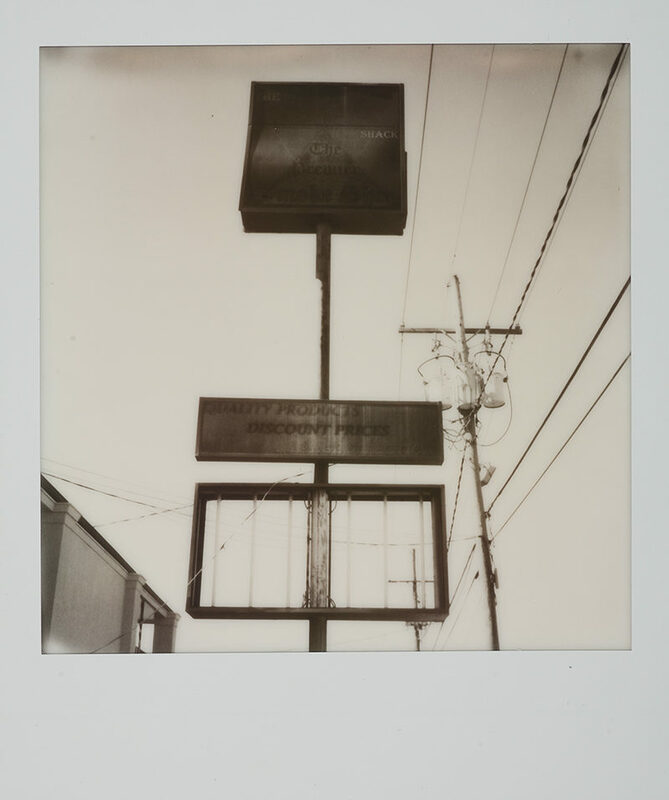 In photographing these signs I seek the public expressions of thoughts and ideas, now empty, that were once pointers to some immediate necessity. 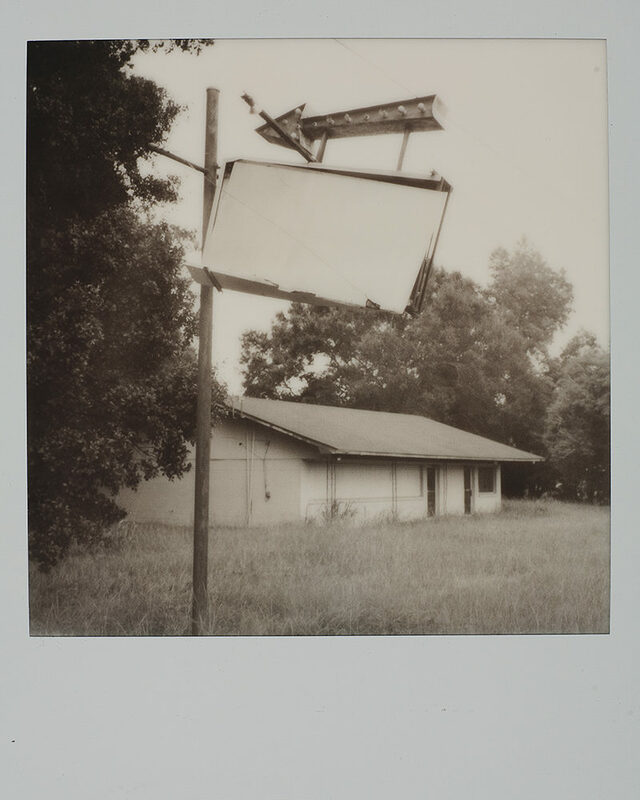 In isolating them in their current state of disrepair, they become signifiers of that uniquely Southern sense of loss and alienation. 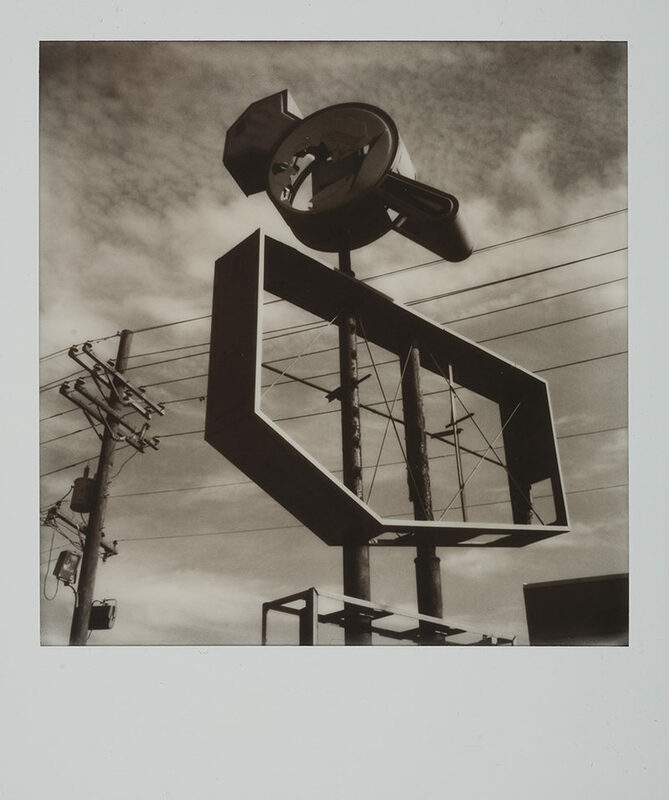 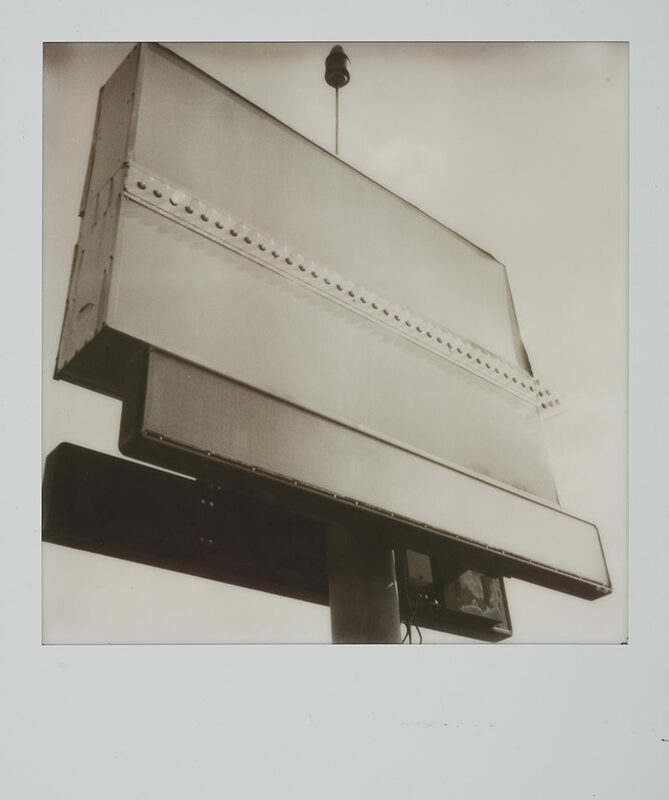 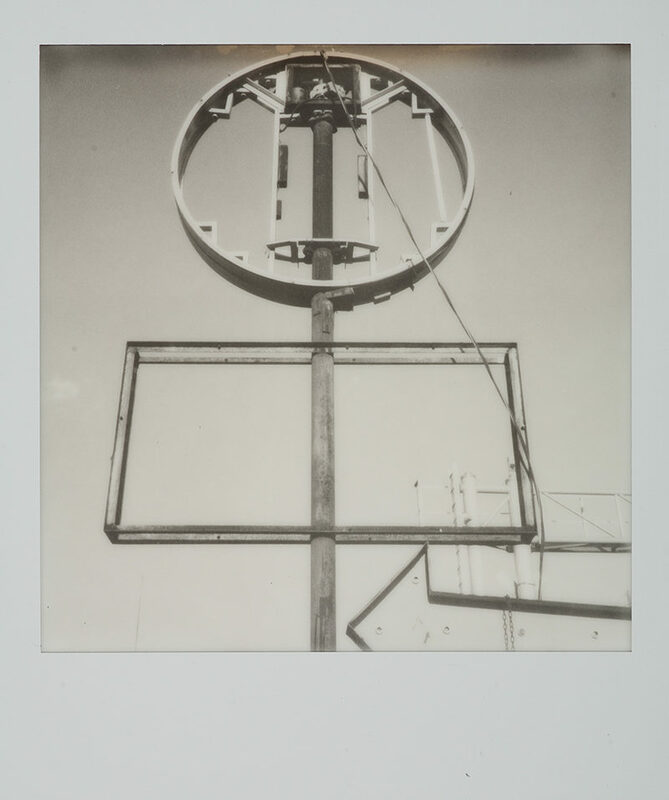 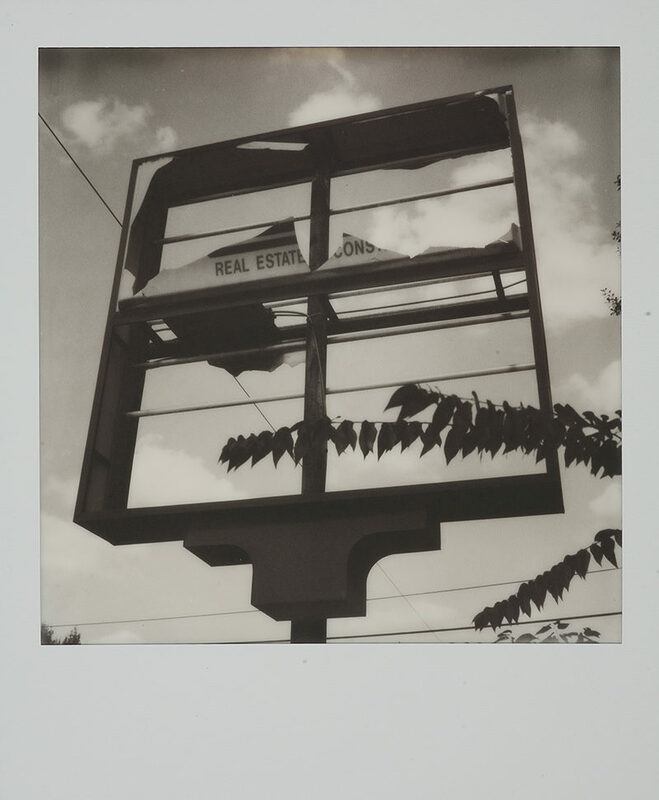 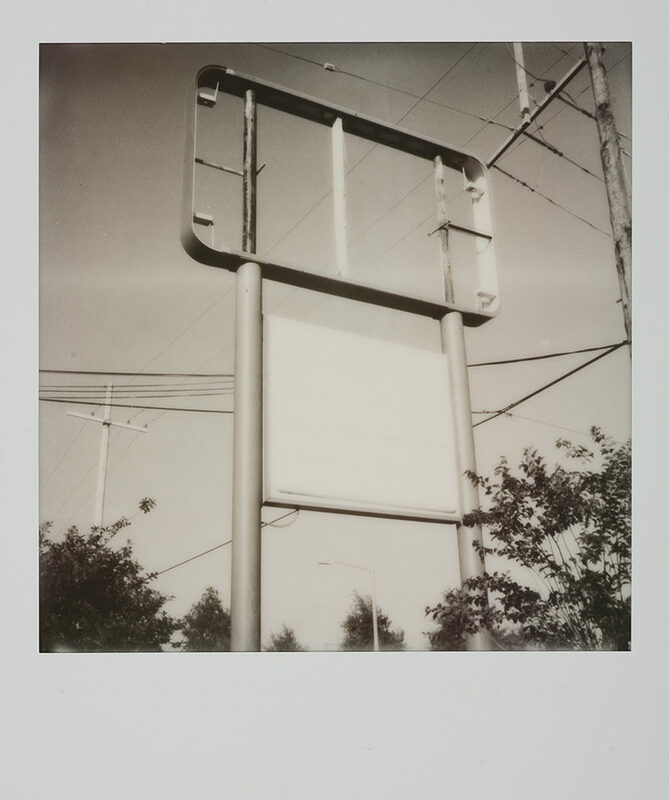 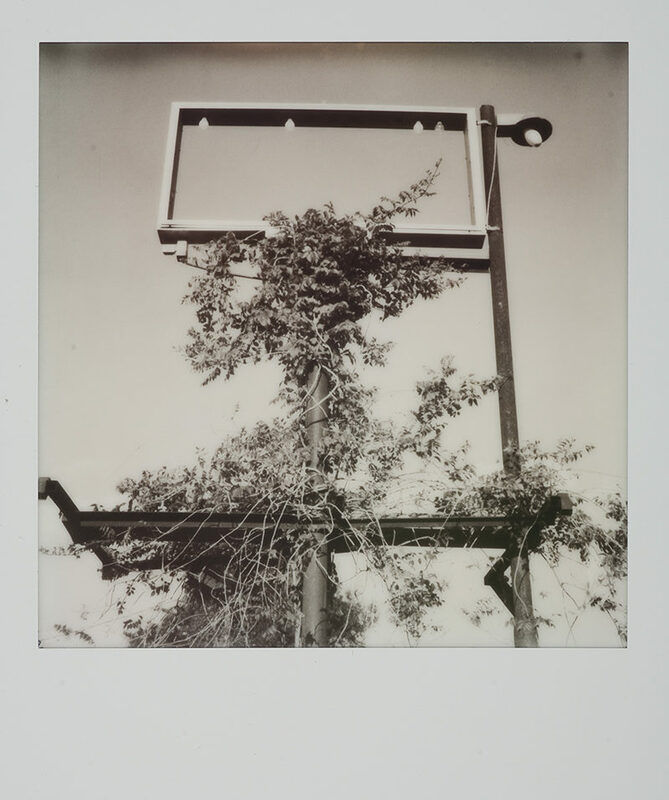 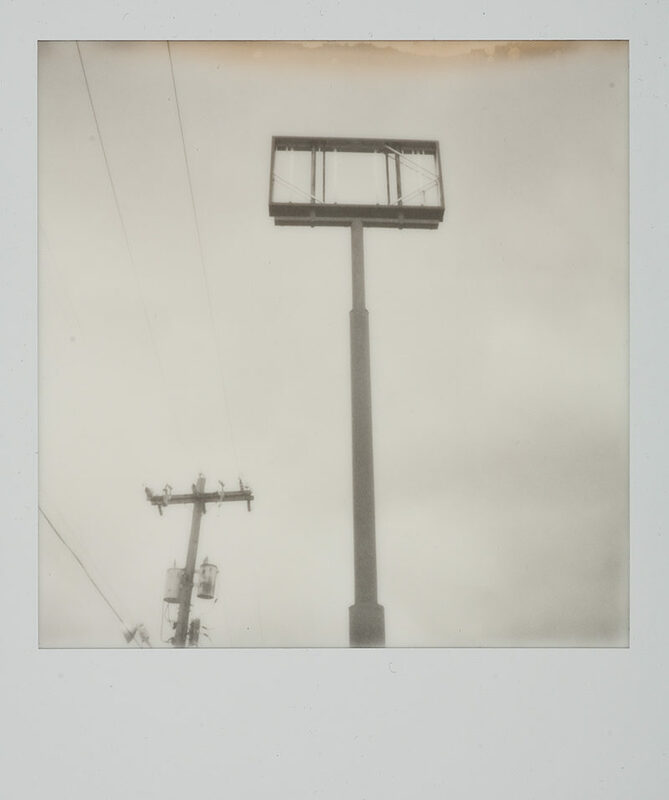 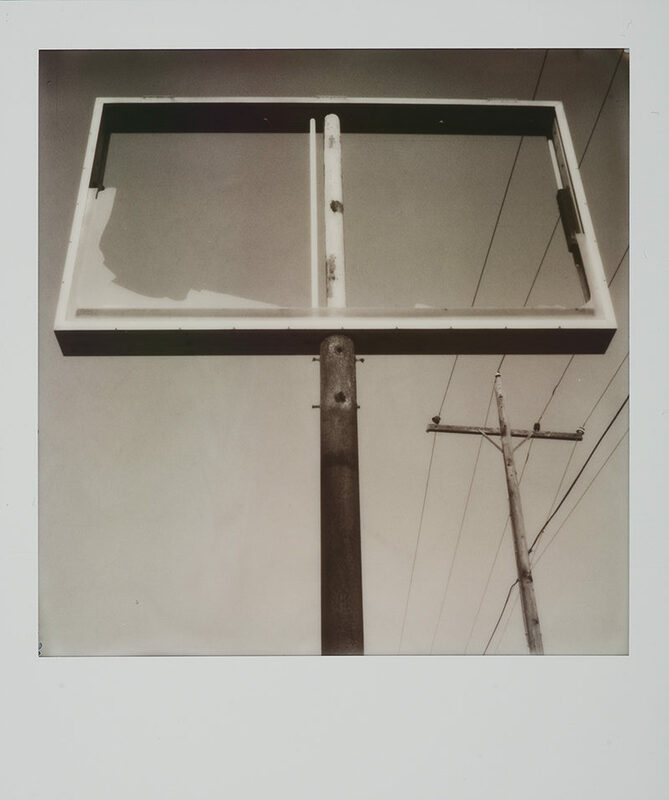 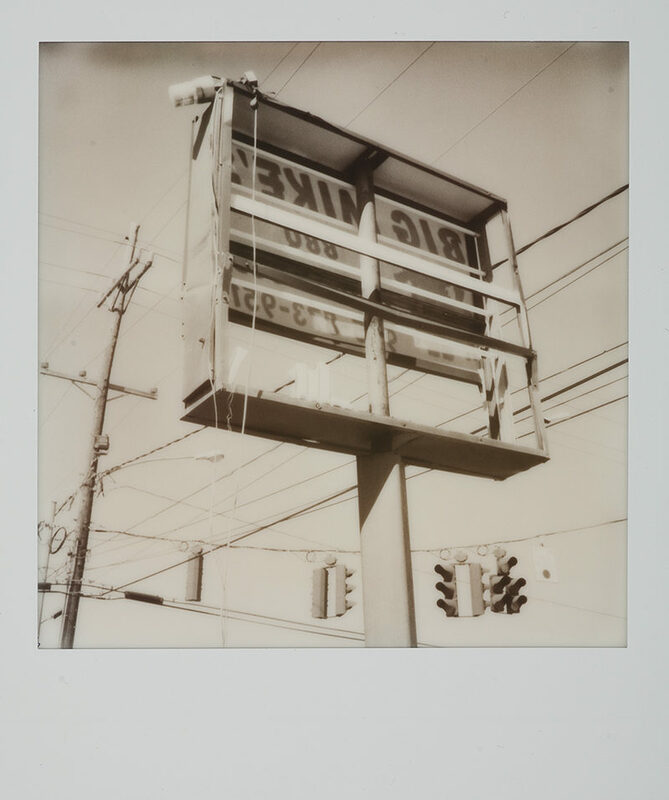 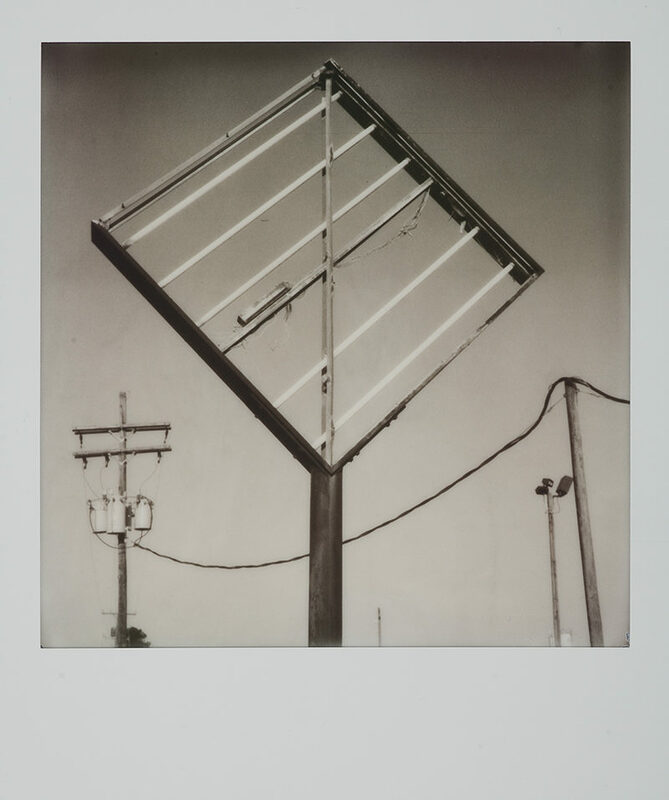 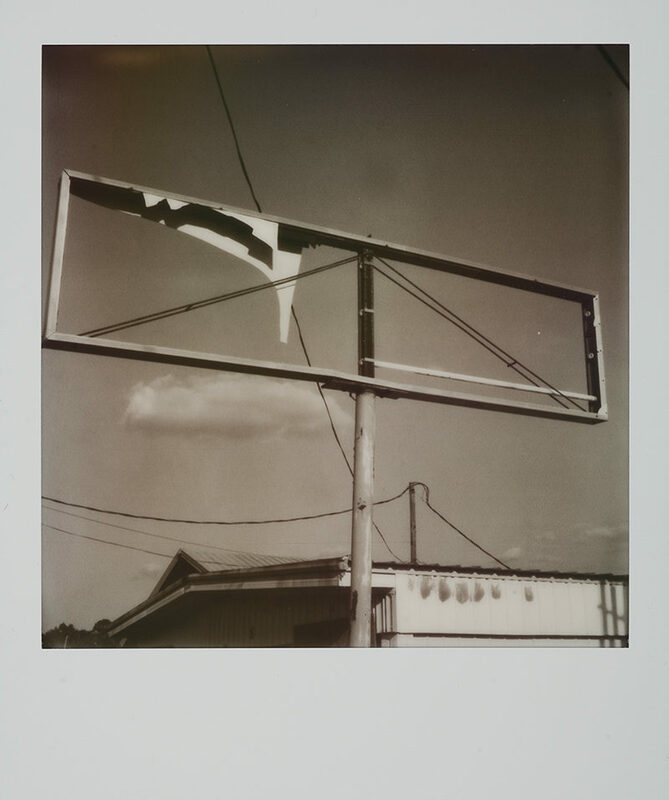 Using a vintage SX-70 camera and Impossible Project black & white film lends the project a sense of nostalgia and loss and isolates the graphic nature of these empty signs. 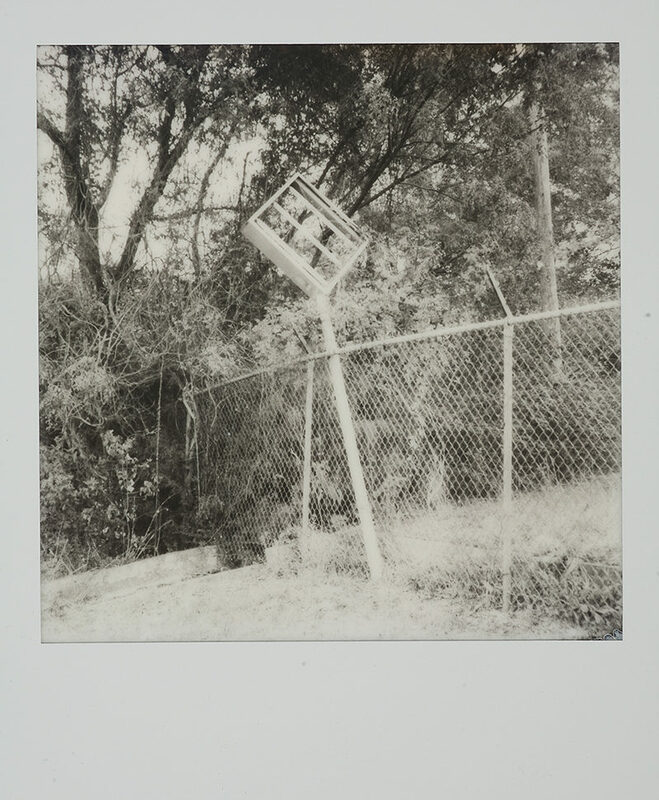 To view more of Thom’s work please visit his website.